Ciscoe says it’s time for new challenges. 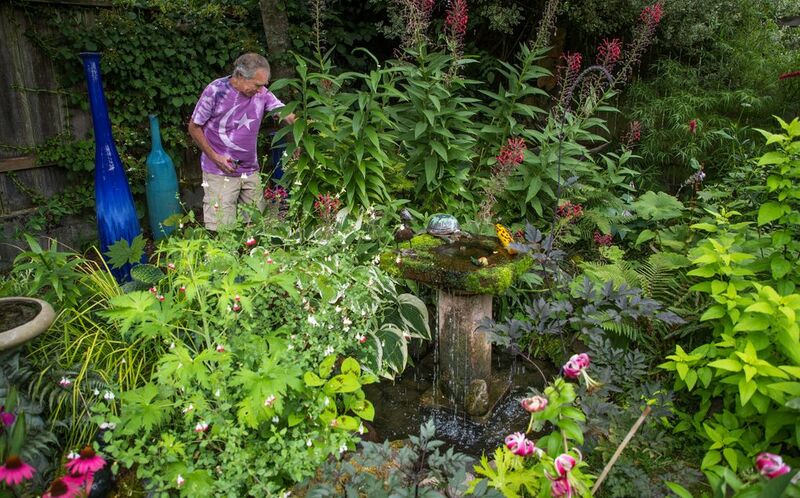 So he’s going to stop writing his weekly garden column to concentrate on his newest book. I’M SAD TO SAY this is my last weekly article in Pacific NW magazine. It’s been an honor to share my love of gardening, and I’ll miss all of the wonderful comments I’ve received from so many of you. I’ll also greatly miss the wonderful folks I’ve worked with at The Seattle Times. The main reason I’m leaving The Times is that I want to focus on writing my next book. 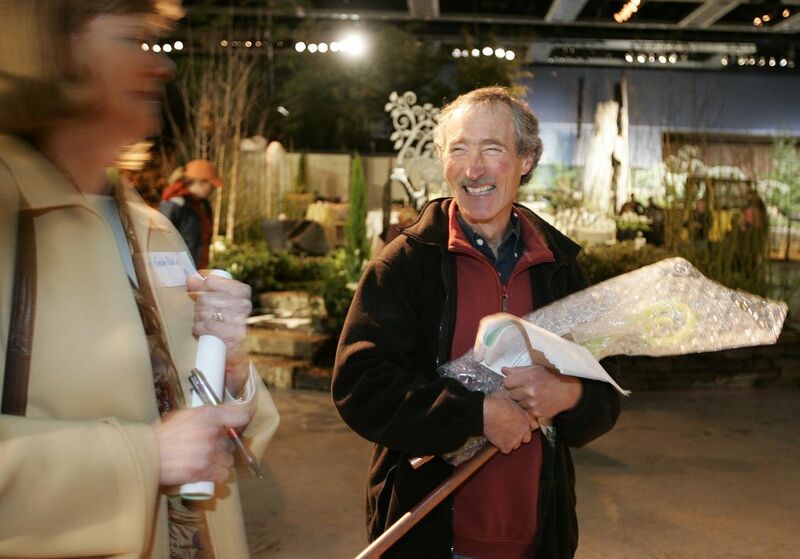 I will still be as active as ever in the Northwest gardening community, including media and speaking appearances. I have been writing a weekly column nonstop since 2001. That’s when I left my job at Seattle University, after directing its garden care for nearly 24 years. It was hard to leave SU, but my TV, radio and speaking career was taking off, and I was becoming too busy to give the SU job the attention it required. When I arrived home after my goodbye party at SU, there was a message on my phone from a Seattle Post-Intelligencer editor asking me to meet with him to discuss writing for that paper. Since he and the team had no idea whether I could write, the idea was that I would write weekly bullets stating what needed to be done at a given time, such as, “Time to prune your roses” or, “Fertilize your blueberries this week.” I’m not known for my brevity, and each bullet soon turned into a paragraph or two. Next thing I knew, I was writing a weekly garden column. In 2009, I had just walked off a plane from a month in India when a stranger walked up to me at Sea-Tac and said, “You’re out of a job, buddy. 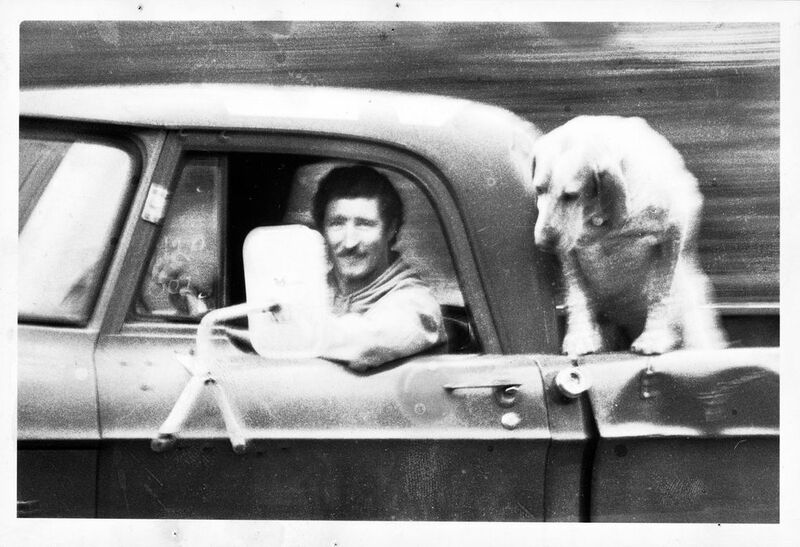 The P-I just went out of business.” I was about to head down for my annual trip to the Oregon Coast with the pups. Reflecting about the P-I, I knew I would miss the creative process, but I sure as heck wouldn’t miss the weekly deadlines. When I walked in the house after returning from Oregon, the light on the message machine was blinking. It was The Seattle Times, and the rest is history. I managed to write my first article in time to be published that week, and I’ve had a weekly column in The Times since, although I began writing for the magazine only a little more than a year ago. 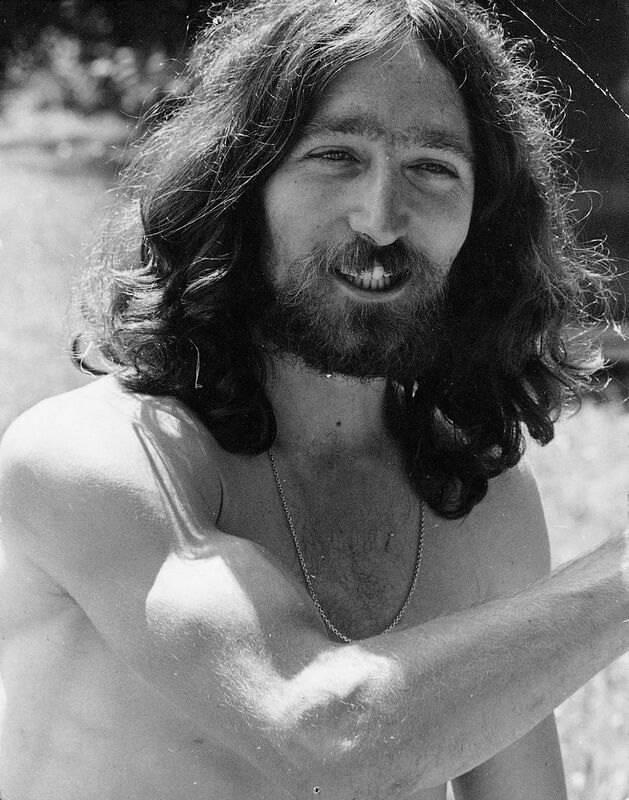 MY GARDENING CAREER actually began at the age of 10, when I harassed the priest at a local church to hire me as the lawn boy. Old Joe the gardener wasn’t at all happy to learn he was stuck with a 10-year-old kid for an assistant; he wouldn’t even talk to me. I worked my way into his good graces, however, and after a while, he took me under his wing. I’ll always be grateful to Old Joe. He hated poisons and taught me many of the environmentally friendly techniques I use and recommend today. During my career, I’ve worked for many big and small companies, including several of my own enterprises. I’ve done everything from design and installation to maintenance, and was a certified arborist for many years. My favorite gardening job was definitely my time spent caring for the SU campus. I was hired as a foreperson, and it’s a miracle that I wasn’t fired my first year. 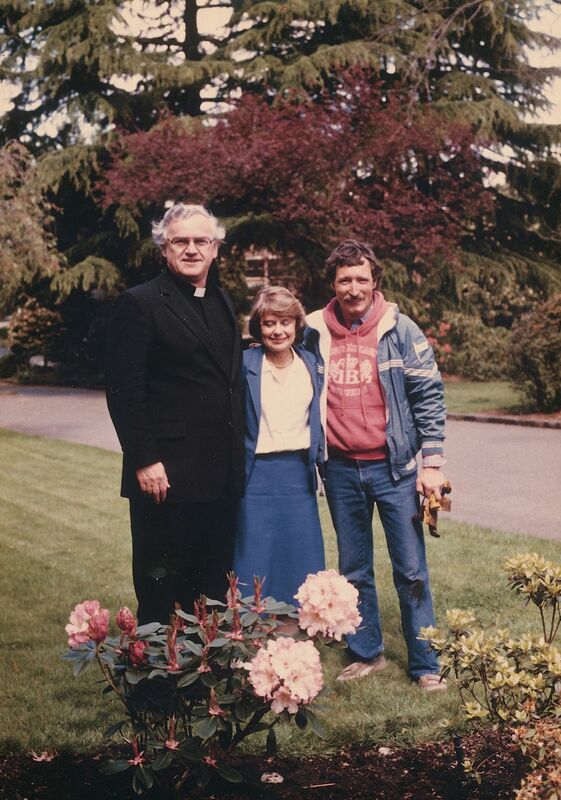 Seattle U. is a Jesuit institution, and Father B, as we all called him, was the director of grounds when I was hired. He was a great gardener, and he allowed me to manage the day-to-day operations. Most of the campus gardens were created in a collaboration between the famous garden designer Fujitaro Kubota (of Kubota Gardens) and grounds director Father Ray Nichols, known by the students as “Father Green Grass.” The original gardens were spectacular, but the care of the campus had been let go for many years. By the time I arrived, most of the gardens were in terrible shape. 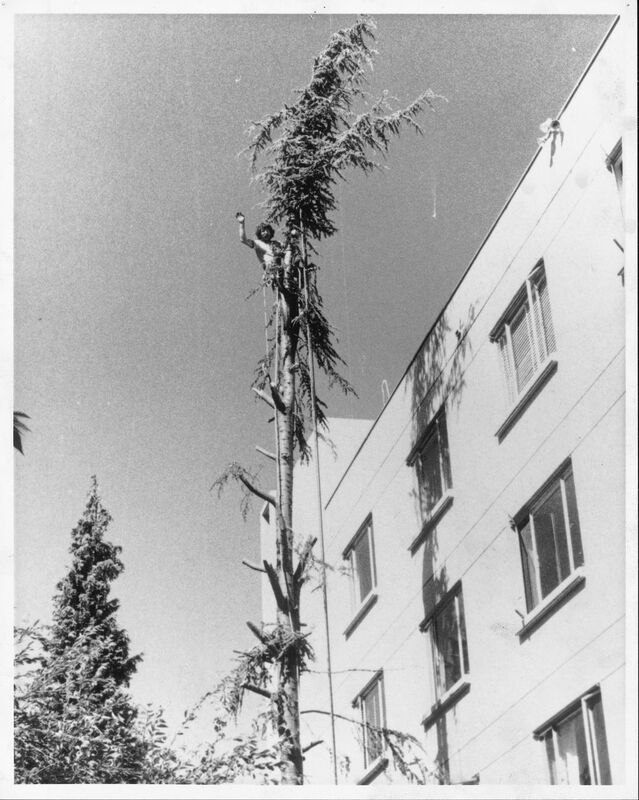 One of my first priorities was to remove numerous weed trees (most likely planted by squirrels) that were hazardous or crowding out spectacular specimen trees that had been introduced by Kubota. I’d barely gotten started with my tree-removal program when I was called in for a meeting with Father Hayes, the vice president for administration. Evidently, rumors that the newly hired gardener was on a tree-removal rampage made a number of administrators a bit nervous. Father Hayes forbade me to cut down any more trees without the approval of a landscape architect contracted by the university. After my third request to remove what I considered seriously hazardous trees was turned down, I decided I had to do whatever was necessary to preserve the beauty and safety of the campus. That summer, I hired a crew of eight work-study students, and with their help, I cut down numerous problematic trees. We’d start early in the morning so we could clean up the debris before any administrators were out and about to see what we’d been up to. Fortunately, our mutual respect and friendship grew. He gave me the raise, and I followed suit by making an appointment with the barber. 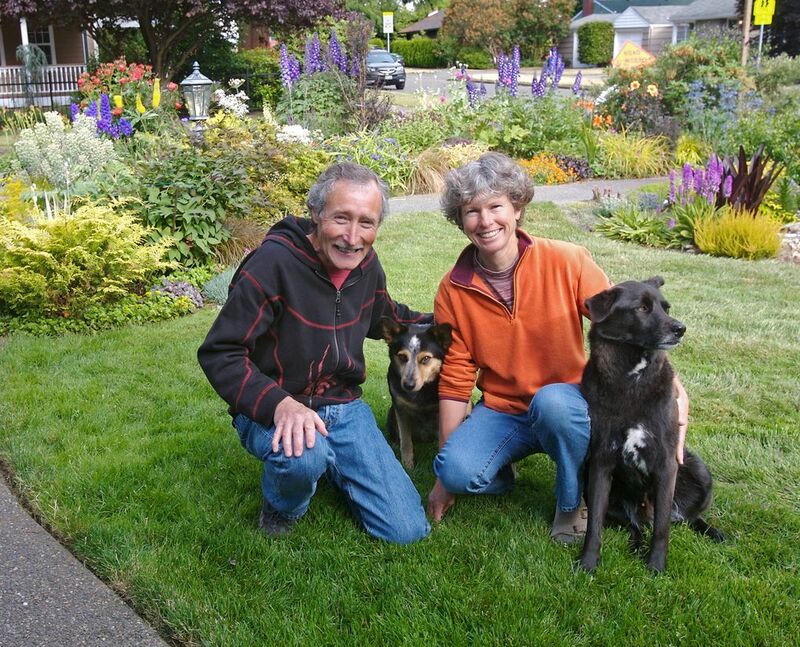 Eventually, thanks to his support and the work of an outstanding gardening staff, we turned the Seattle University campus into what is now renowned as one of the most attractive gardens in the Pacific Northwest. The crowning achievement was the environmental program we introduced to care for the campus without using any chemical poisons, including herbicides. The university won the top national EPA environmental award the last two years I worked there, and for years, SU was the only university campus in the state designated as a Wildlife Sanctuary by the State Department of Fish and Wildlife. ONE OF THE questions I’m often asked is how I got started on TV and radio. In truth, my incredible media career happened mostly by luck. It all started in the early 1980s, when I received a call from KIRO Radio asking me to rush to the studio to sub for well-known WSU Extension agent George Pinyuh. I was to go on air with Jim French, a popular radio personality, then host George’s two-hour question-and-answer show. I was a nervous wreck. I’d never even been on radio before. As it turned out, I didn’t know half the answers to the callers’ questions, and I said, “I don’t know” so many times, it became a comedy routine. To my great surprise, listeners called in, asking the station to put that oddball gardener on again. The next thing I knew, I was filling in whenever Mariners games ended early. Before the year was up, I was hosting my very own garden question-and-answer show. I admit I wasn’t terribly confident about my chances. I knew I’d have to recite lines, and I can barely even memorize my own name. Then I was delayed by problems at work and showed up 45 minutes late for the audition. I was desperately trying to learn my lines when the producer announced that time was up, and there would be no more auditions. I didn’t even get to say my lines. To my great surprise, soon after returning home, I received a call from an assistant producer I’d never even met, inviting me to be on the very first show. I was totally mystified, but determined to do my best. I evidently did a good job. I ended up a regular on the show for the seven years it was on the air. 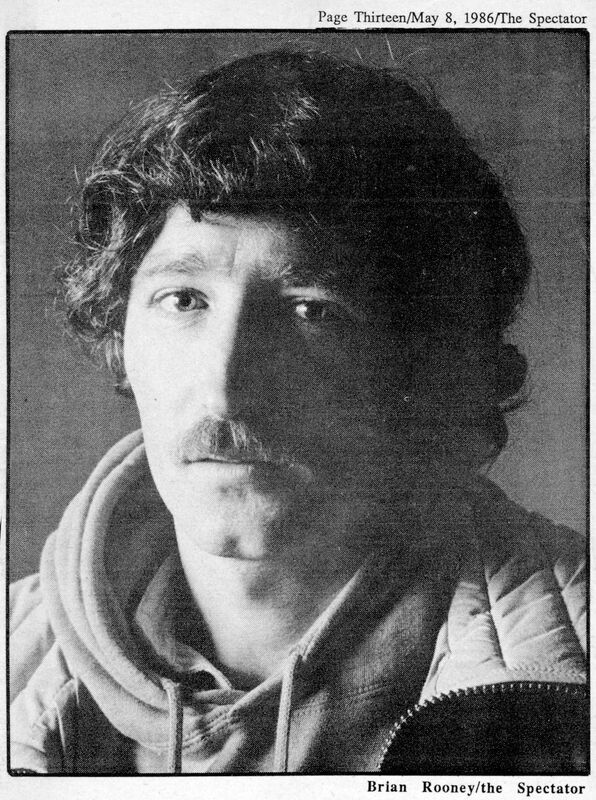 I still wonder what the guy they thought was Ciscoe is doing these days. After that show ended, my next TV gig was on the KIRO Noon News show. I went down to the studio once a week to do a short gardening segment with the news anchors. I brought in samples and talked about everything from plants to bugs. I loved appearing on the news, but one day when I came in, I was informed that they had to dump the “fluff” because the show was being shortened to a half-hour. I still wonder why I was considered fluff and Chef Jacques wasn’t. After that, my TV work was limited to giving interviews when local stations needed an expert to talk about garden-related news, such as an outbreak of tent caterpillars. Then one February, an Arctic express was forecast, and Meeghan Black from KING 5 called about filming a story in my garden about protecting plants from freezing weather. The segment turned out quite funny, yet informative, and when the programing director saw it, he surprised the living tweedle out of Meeghan by asking her to do a show with me. 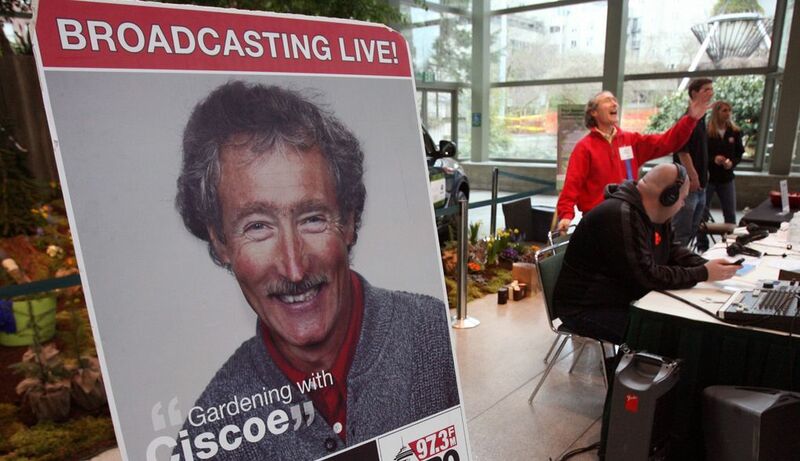 As it turned out, Meeghan and I made a great team, and our “Gardening with Ciscoe” show was a big success for the many years it ran. THROUGH ALL OF the excitement, I’ve never lost my love for gardening. I’m a plant collector, and there’s nothing more fun than walking around in the garden with my pups, trying to figure out where in the world to plant my newest rare treasure. The only problem is that my wife, Mary, is also an avid gardener, but we live on an average-sized city lot. We each have our own ideas about what to plant, and we argued so much every time we tried to garden together, we had to divide the garden into his-and-her beds. Whenever visitors come, we stand shoulder-to-shoulder and demand: “Whose side do you like best?” I’m convinced she’s bribing all the people who keep voting for her side. By the way, in case you’re wondering: I’m definitely not retiring. 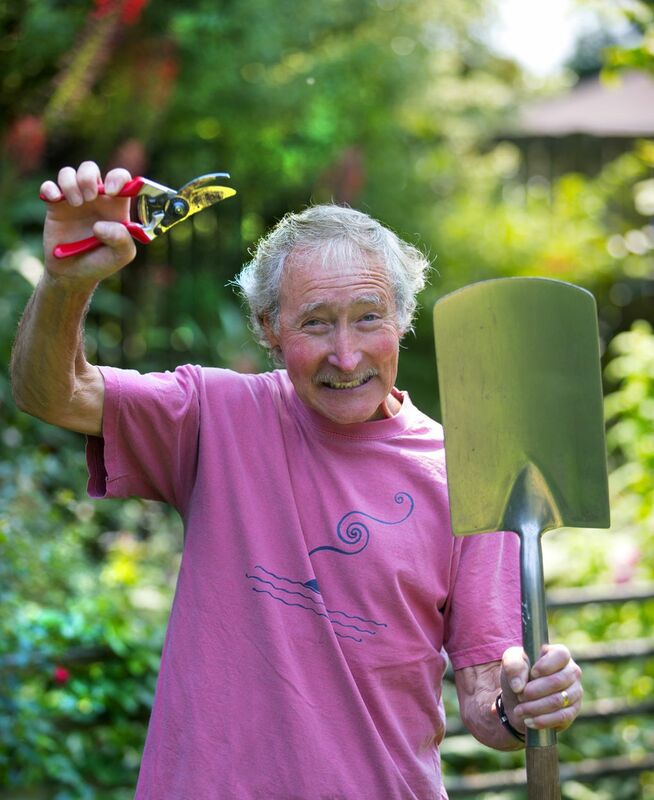 My immediate goal is to finish my next book, which will include many of the humorous and informative stories I tell in my garden talks. And I’ll still be hosting my Saturday radio show on KIRO 97.3 FM, and appearing regularly on “New Day Northwest” and “Take 5” on KING 5 TV. 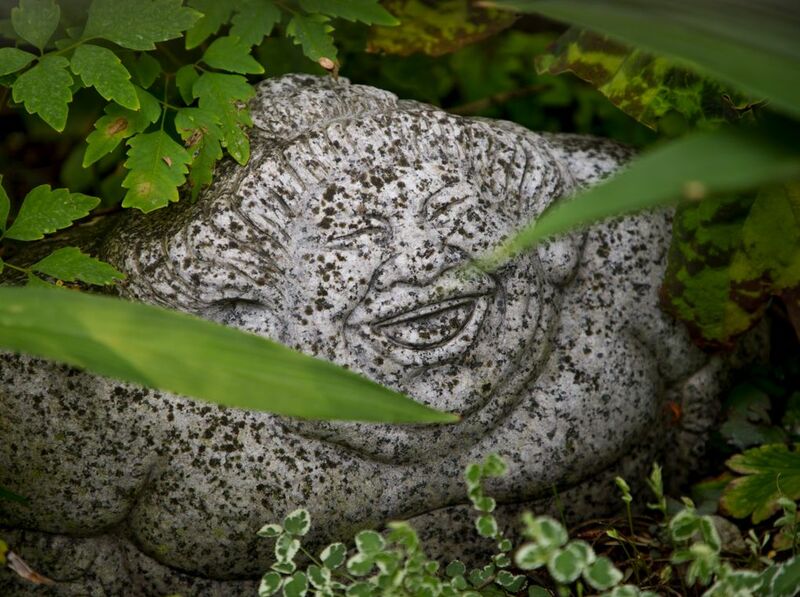 My numerous public appearances (garden talks) will continue as usual. I’m also in the process of trying to decide where to host my 18th international garden tour next year. Finally, thanks so much to all of you who have read my column for all these years. 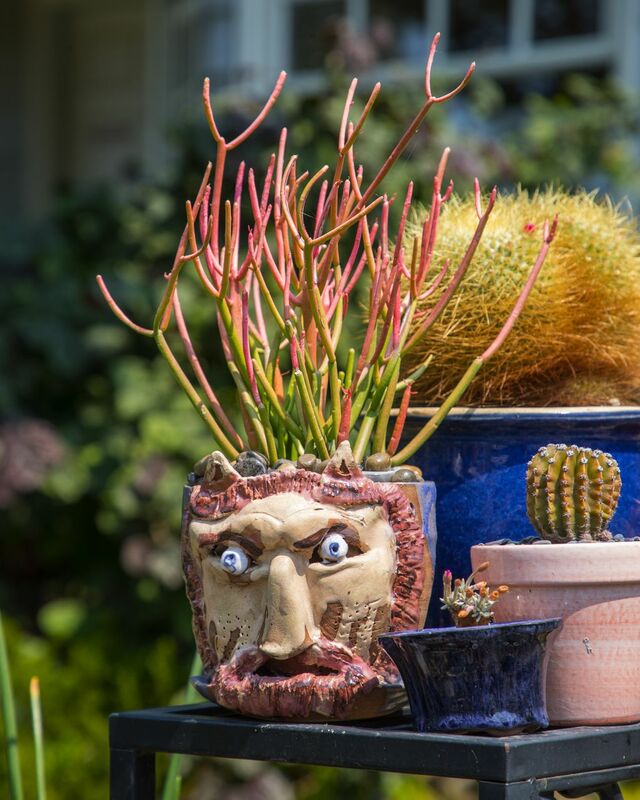 I hope my articles were helpful, and made gardening more fun for you. If you are new to gardening, a great way to begin is to plant a small bed by your main entrance, where visitors will see it. 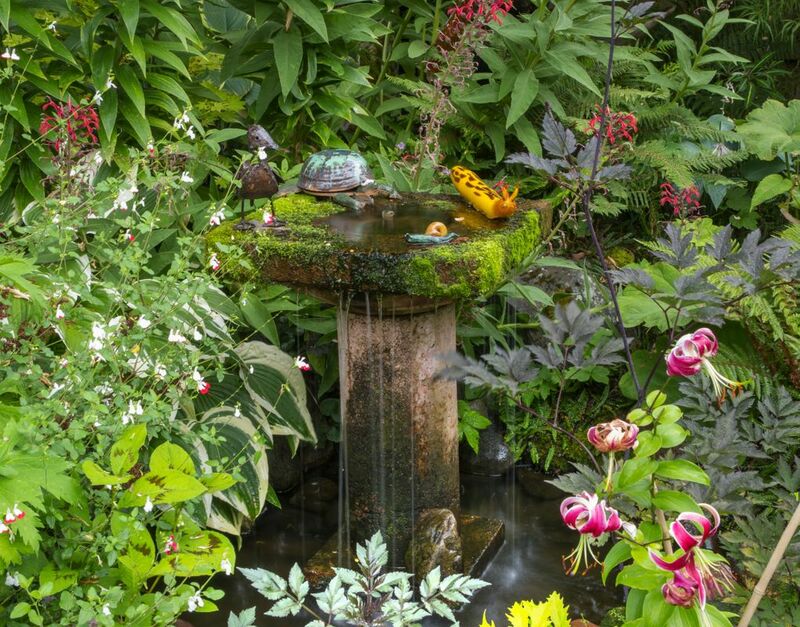 You won’t believe how wonderful you’ll feel when people tell you how great your garden looks. 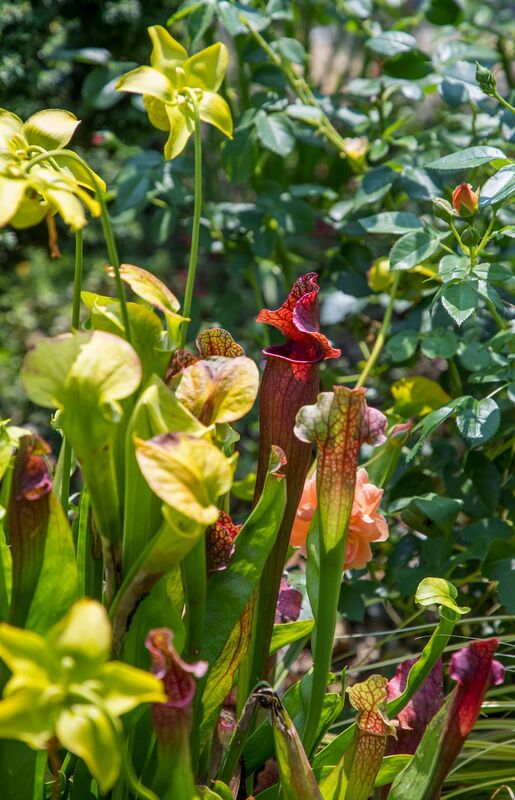 Before you know it, you’ll turn the whole yard into a spectacular garden display. Just don’t get your partner excited about gardening. 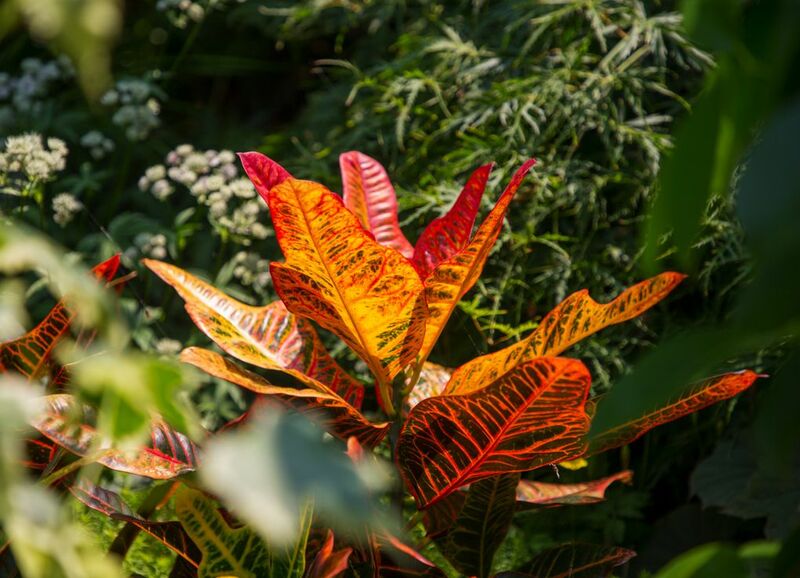 Then you won’t have to pay out the big bucks for the newest, most-spectacular plants in order to make sure your side of the garden looks at least as good as your partner’s! Ciscoe Morris: ciscoe@ciscoe.com. He appears regularly on “New Day Northwest” and “Take 5” on KING 5.